13 ½” X 19” serigraph print. 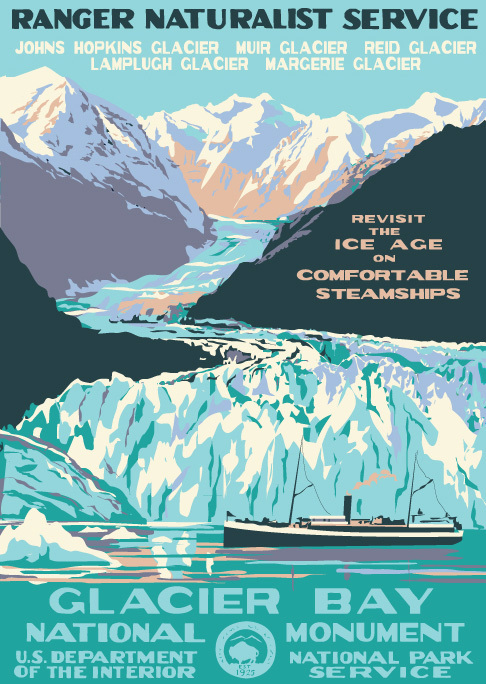 Glacier Bay was formed in 1925, and we've chosen to feature a steamship to portray the incredible scale of these tidewater glaciers. Steamships then, and cruiseships today, are the principle method of access to this unique park.